Crom, grant me strength! Nothing like waking up to a battle in the morning. That’s the kind of life you’re signing up for when you decide to become a warrior. Because warriors are made, not born. Anyone can be born into a barbarian tribe that lives by the strength of its sword arms, but it takes determination to make it your calling. This shield and sword set gives you the kind of tools needed to fight on to see another sunrise. Without them, you’re just waiting to be slain by some Nordling named Svard. 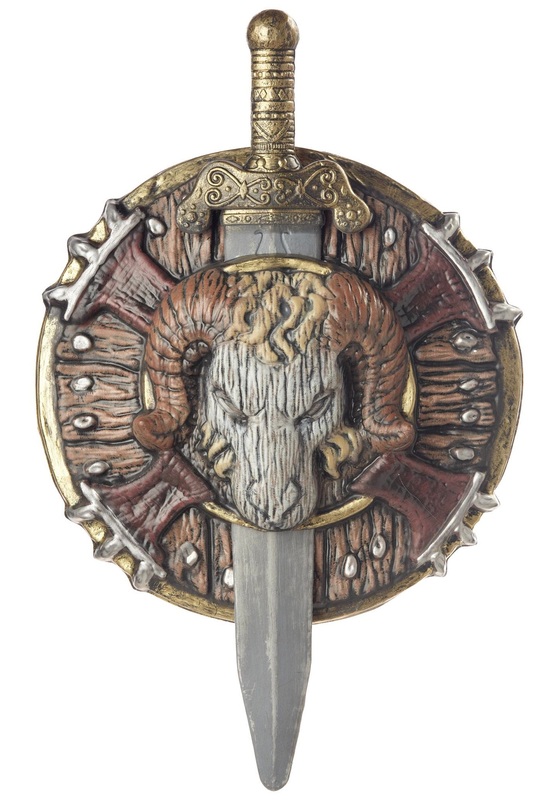 This warrior sword and shield is made of plastic with cloth straps on the shield and a cloth sheath for the sword––it’ll stand up to another plastic-armed warrior, but don’t test its mettle against steel, iron, or dragonbone. Both pieces are covered in archaic designs to imbue you with the or protections against––or blessings of––the dark gods. Take your pick.